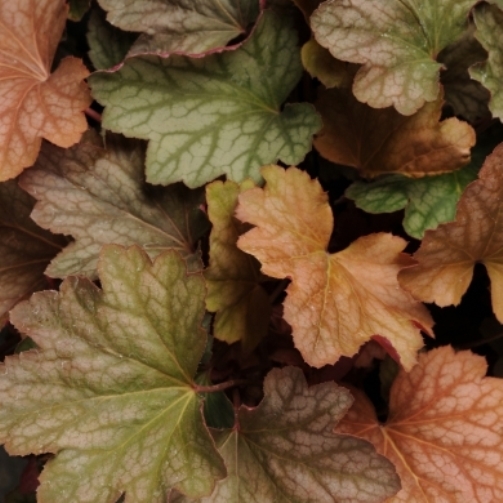 Heuchera 'Carnival Watermelon'. Peach-pink new growth maturing to bronze-green. Very stunning in cooler temperatures. Best color is achieved in a shady location. 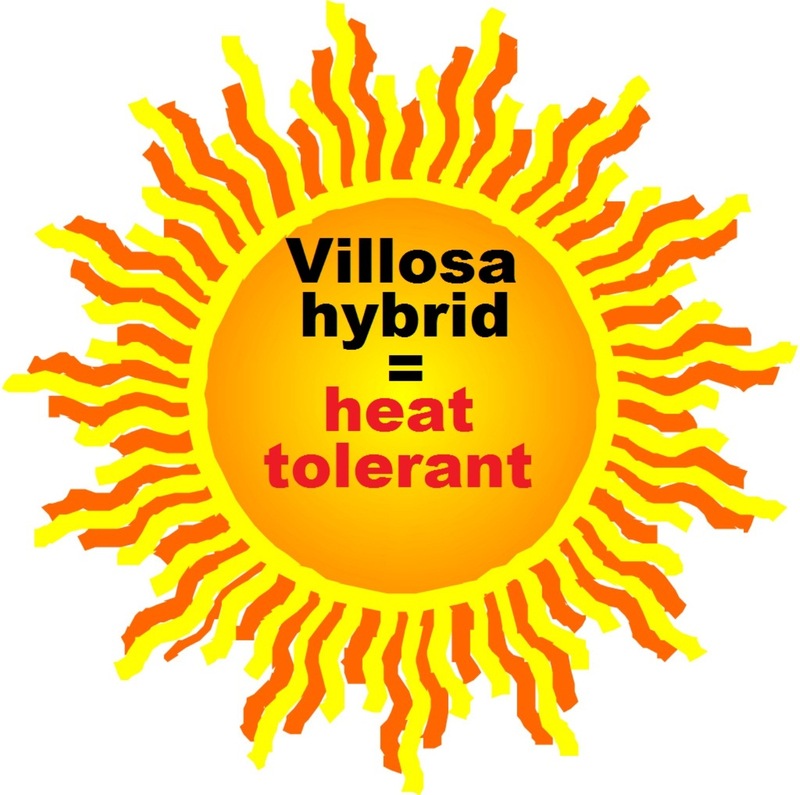 Heat & humidity tolerant, a perfect choice for southern gardeners. PP#24803.